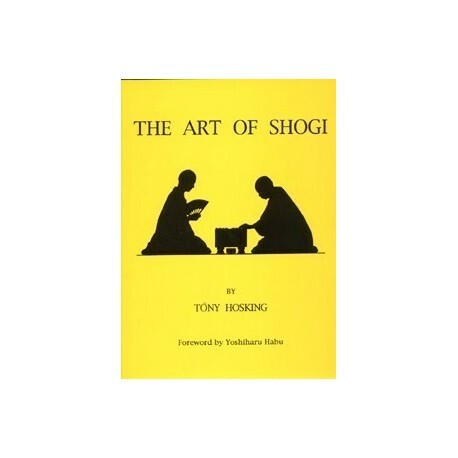 The Art of Shogi. Libro de shogi, ajedrez japones, para principiantes y jugadores mas experimentados (jugadores de Dan). Libro de Tony Hosking. Libro de shogi, ajedrez japones, para principiantes y jugadores mas experimentados (jugadores de Dan). Libro de Tony Hosking en Ingles. -Comparison of shogi rules with Western chess. -Clear explanation of fundamental shogi strategy. -Guide to the main kinds of shogi handicap games. -In-depth guide to shogi opennings for more advanced study. -58 complete annotated shogi games including the first 8 professional title games to be played outside Japan, and 50 other professional game references. -An account of the professional shogi scene in Japan.